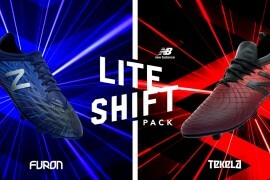 When it comes to boot launches, Nike know how to throw a party as we’ve seen countless times in the past. 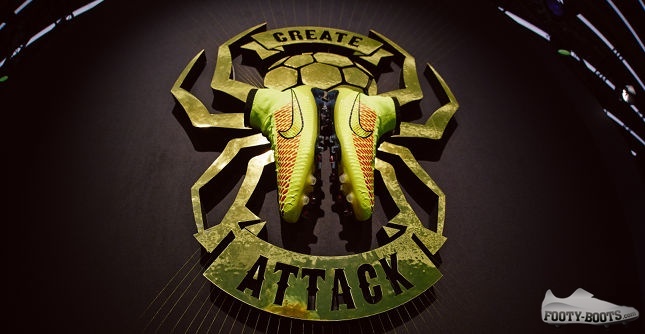 But few come close to the incredible installations that were on show at the Barcelona curtain-raiser for the Nike Magista that took place yesterday. An event space in the Catalan city was decked out from floor to ceiling in installations that embodied the new FlyKnit construction of the latest football boots to drop from the Swoosh. 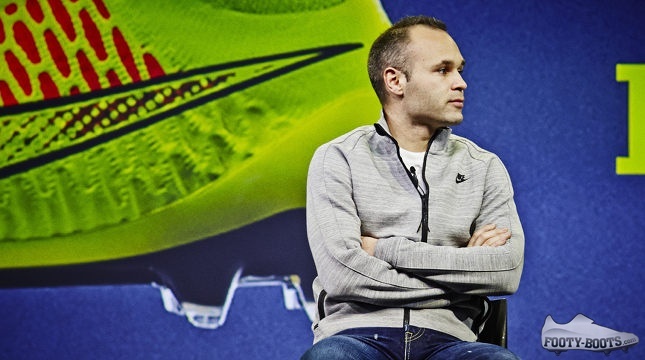 On hand was Spain and FC Barcelona playmaker Andres Iniesta, who took to the stage with respected Spanish football journalist Sid Lowe to praise the Nike Magista' Obra' as like ‘nothing we’ve ever seen before’. 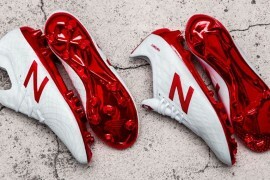 “It is unlike anything we’ve seen, and the boot for me is new and different from everything I have worn until now. I have been very pleased with the whole process and hope to create great memories in them.” Andres Iniesta on the Magista' Obra. Huge displays were created out of pairs of Obras, with the Volt launch colourway the star of each. 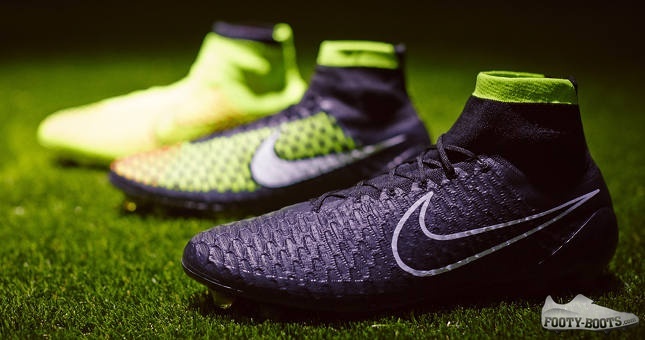 However, Nike will be launching a triple-threat of colourways upon retail drop date, including a Black and Lime version that was responsible for no small amount of drooling from players of all ages and abilities. One feature of interest was an incredible gallery of Nike’s achievements to date. The theme was FlyKnit – of course – so FlyKnit training shoes and basketball trainers were towards the modern end of the scale. However, bringing up the rear were some of Nike’s classic footwear reimagined in the FlyKnit colourscheme. 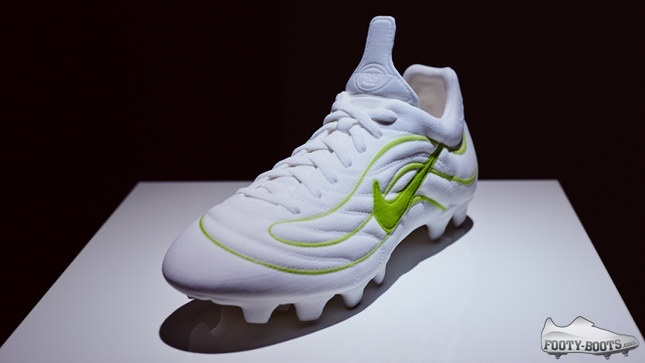 Stealing the show was a White/Lime reimagined ’98 Mercurial R9’s that were kept under strict supervision by very big men in suits all afternoon. Also on hand to chat were' Nike VPs Trevor Edwards & Phil McCartney who you can hear from in our video above. These two Nike higher-ups were among the most enthused people in the room, talking about the Magista‘s' place in the Nike Football line-up and the technology on show. Edwards was keen to talk about the Magista playing a huge role at the World Cup this summer (just as the CTR did four years ago), and even let slip that Nike will have more exciting football boots featuring similar technology before the summer’s showpiece. Worst kept secret in boots, anyone?